SINE BARS by Suburban Tool, Inc. Effectively "cancels" the angle being measured to check its accuracy. 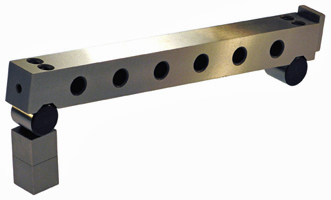 Includes end rail, which can be mounted at either end.